In a land of masking tape glasses, suspenders, and popped collars, which group will prevail?! Dress the part and represent! And prepare yourself for the best game of mind boggling Pop Culture Brainiac Trivia EVER! 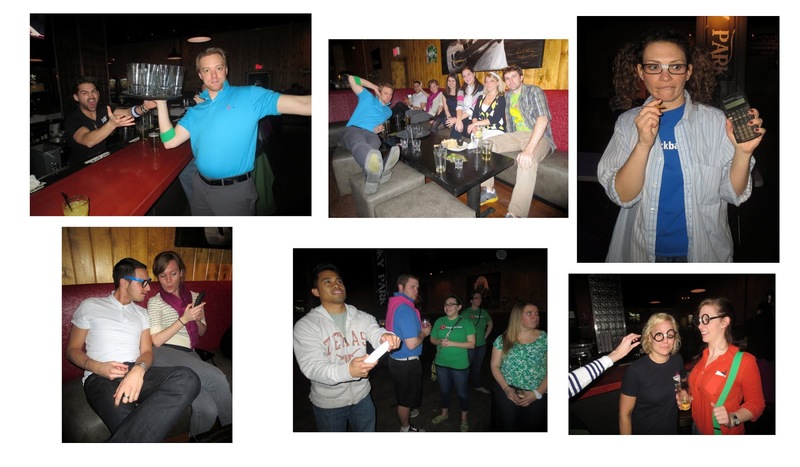 As this week's example of how to dress the part we turn to the Gauntlet Bar Game League from this past winter. Never have they all looked so good!